I am not a fan of resolutions, but goals I can live with. They have a more "squishy" quality and I don't feel as bad if I don't meet them. I've started working on my new ones and I've broken my goals down into two main areas again this year: knitting and reading. I will share more about them in another post. But I wanted to review the status of my WIP pile. I went through to add the year 2017 to the tags. In doing so, I discovered some were older than I thought. Apparently, while I completed a fair amount of projects, most were new ones, or at least very recent. I need to do something about that this year. 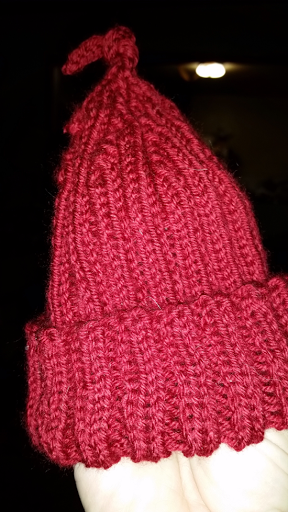 My last comepleted project for 2016 was the Red Ribbed Hat for my Little Peanut, which was also my .ast project on in 2016. Looking through my project page on Ravelry I can see it is true. All 17 projects completed were started last year, except for the Lions Scoreboard Cowl, which started with the beginning of the NFL football season and had to wait until after their final game. Of those projects, many were for other recipients. 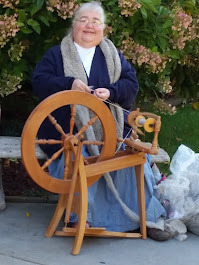 I knit two pair of slippers, two Hitchhiker shawls and the rustic blue silk Shawl that were for me. The Scoreboard was gifted away, leaving lots of gifts, mostly for children. I guess I have a bunch of older WIPs to get cracking on. I will take that into consideration when finalizing my goals. But before that, tradition came to the forefront today. Every year around Christmas or New Year's, some friends and I have a girl's movie night. Or in this case, afternoon. Our local movie theater added a third smaller theater screen. This past month or so they have been showing some great older movies. So today four of us went to a screening of The Wizard of Oz. Flying monkeys and all. And I loved it! The sound is so much better there than at home on tv. As well as the general ambience. I look forward to going back in a couple weeks to see Casablanca. 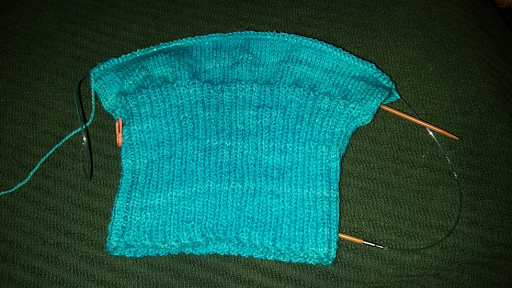 But in the meantime, I have a Sockhead hat to finish.